As you may have noticed, Floridians have their own unique ways of celebrating Christmas. Without the promise of snow-covered streets or wintry nights by the fire, we’ve had to create our own way to get into the Christmas Spirit. One way we’ve effectively done so is by taking the Holiday tradition of Christmas parades and adapting them to our beloved boating lifestyle. And thus, the birth of Holiday Boat Parades! 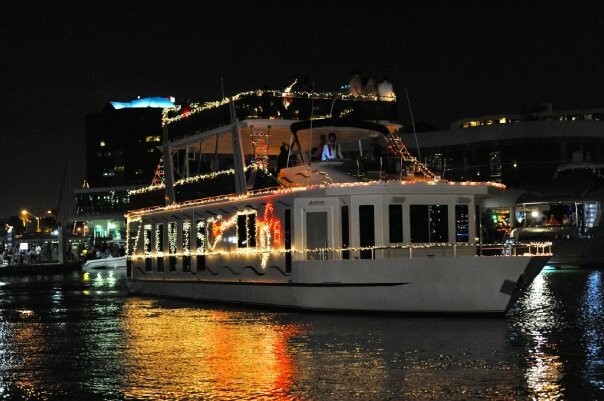 You can’t help but get in the spirit with the Christmas lights and colors beaming off the cool ripples in the water and the Christmas music playing from such lavishly decorated boats. 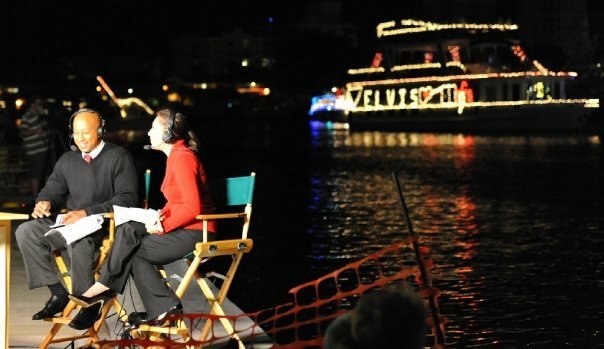 We are gearing up for Sarasota’s Christmas Boat Parade of Lights. The parade will take place at Marina Jacks on Dec. 10 at 6:00pm. The best place to view the boats are Marina Jack Restaurant, Bayfront Park, City Island and Centennial Park. In keeping with the Holiday spirit of giving, all proceeds from the event will go towards the Suncoast Charities of Children, Inc.
Sarasota Yacht has entered in the event several times over the years. We look forward to this event every year and whether we enter or not, we always have a great time. In 2009 we won second place with our theme was “Christmas Elvis”. Check it out! Luckily for those of you who can’t make it to the Sarasota Parade of Light, chances are there’s a parade in your area. The folks from Florida By Water have compiled a list of 47 boat parades happening between Pensacola and Key West this month. 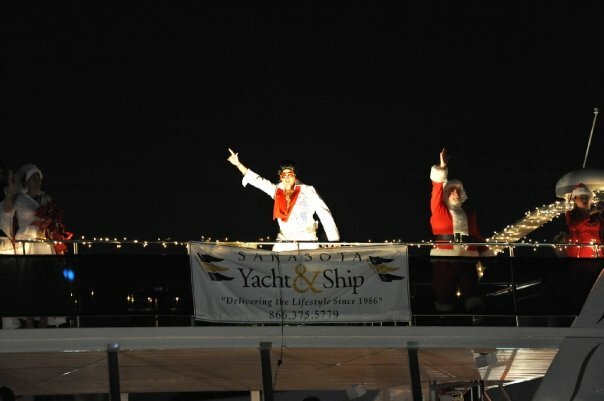 CLICK HERE to view all 2011 Holiday Boat Parades! Thanks for the feedback odloty! We had a bit of a lull in our post frequency over the past month because of the holidays, but we should be back on a regular routine of 2-3 times per week. I hope you’ll stay tuned! Excuse me, but I attempted to email you in regard to something on your site but the given e-mail address did not work. Is there an alternate place I might speak to you? Hi Florencia. I apologize you had problems with the email link. Our email address is info@sarasotayacht.com. Or please feel free to call our main office at 941-365-9095. We look forward to hearing from you!